NOW WITH SEAMLESS DESIGN! 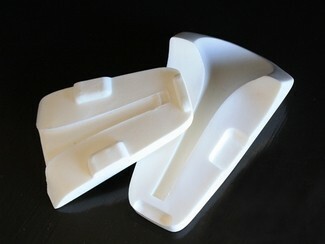 Makes perfectly shaped stilleto heel for gum paste shoe measuring 8" in length. Makes approx. 4" high heel.